Derek’s new guest is Barbara Turley, CEO and founder of The Virtual Hub, a company that provides solutions for businesses looking to get help implementing their social media, digital marketing and business automation strategies through the help of virtual assistants. Barbara spent 15 years working big corporates mainly in investment banking and finance before the founding of The Virtual Hub. Barbara has always wanted to build her own company and got the chance to learn about how scalable business are during the financial crisis. She did business coaching for small business when she left the corporate world and realized that most businesses needed virtual assistants to allow owners entrepreneurial freedom and level up..
She ended up recruiting for more virtual assistants from the Philippines, and starting up The Virtual Hub, which is now growing to over a hundred virtual assistants helping clients’ scale up in their business through digital marketing, and business automation strategies. Easy wins come with recruiting, training, and managing the right people. All potential virtual assistants are tested for good fit through an intensive training programs for as long as eight weeks before they are shown to prospective clients. Another success key is the amount of client involvement in the onboarding process particularly in the first six weeks of the engagement. Helpdesk, team leaders, and success coaches are there to get client feedback and to fix issues early enough. The major issue is the expectation of the client on the deliverables from the virtual assistant as they are not “do it all” VA. It is important to educate the client and be clear on their expectation and be very delineated on the scope of VA’s role in the engagement. BPO or outsourcing providers maybe successful in specializing on niche markets, through the role of virtual assistants. 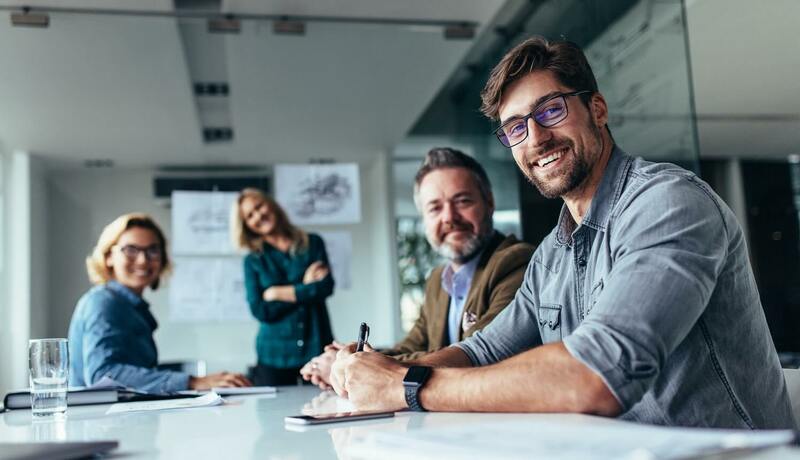 Easy two-way wins come with recruiting, training, and managing the right people who can competitively deliver specific roles in the niche. Expectations on deliverables must be clearly defined at the very beginning of the engagement and feedback mechanism must also be built-in to fix issues as they come up. Hi, and welcome to another episode of the Outsource Accelerator Podcast. This is Episode No. 203 and of course, my name is Derek Gallimore. And we are joined by Barbara Turley of The Virtual Hub. So, Barbara Turley, she’s actually living in Sydney and has an investment banking background. So how did she find herself now being the CEO and founder of The Virtual Hub, which employs over 100 VAs now. So, it’s really an interesting journey and I’m happy to have Barbara on board to discuss her journey and discuss her own “aha!” moment with outsourcing and how she found herself to be so deep into the outsourcing industry now. So, I learned a lot and I’m sure you will enjoy this chat with Barbara Turley. If you want any of the contact details or anything we’ve mentioned go to our show notes which is at outsourceaccelerator.com/203. Derek: Hi and welcome back everybody. Today I am joined by Barbara Turley of The Virtual Hub. Hi Barbara, how are you? Barbara: Great, Derek! Thank you so much for having me. Derek: Absolute pleasure! And you’re an Irish expat living in Sydney and now some spend some years in Sydney. So, it’s certainly good to catch up with you. We can compare notes on outsourcing. So, you are the CEO and founder of The Virtual Hub, which is an outsourcing VA specialized vertical. And I’m sure you can tell us more about that. You had a very interesting background both in corporate and business generally and then turned to the outsourcing sector because I think we have kind of shared enthusiasm for the sector. So really happy to have you onboard and to explore that more fully with you. So, at first initially, are you able just to introduce yourself and give a little bit of background. Barbara: Sure yeah. As you said I had kind of a varied career. Now initially, obviously, I hailed from Ireland, but I started out my career, I spent 15 years in corporate mainly in the investment banking arena, the industry. I was in equity trading for 10 years and then over on the Asset Management, sales side of that business. To cut a long story short, look, I always had a vision of running my own company. I always wanted to kind of build my own company as you think a lot of corporate people do have that kind of vision. And I got a chance to have a dabble of that in the corporate world actually through the financial crisis when I got involved in the very large management by out of a business from Delta Bank about 10 years ago. And I got a chance through that experience to really learn about how scalable businesses are. I guess built from sort of the ground of it wasn’t totally a startup but it was a very difficult kind of journey in those first few years. I mean then eventually, I came to leave that and do my own thing. And as a lot of corporates do when they leave they do some consulting. So, I was doing a bit of business coaching for small business. And I notice that they were all having the same problem. It didn’t matter what the business was; whether it was traditional offline, brick and mortar, or online coaches. None of them have any time. And they didn’t have enough money to hire people locally. So, of course, like everyone else, I have read Tim Ferriss’s 4-Hour Workweek and I have actually got myself a VA at that time in the Philippines. So, I started recruiting literally my VAs friends just to help out the clients that I was working with. And honestly, before I knew it I was getting way more demand for people going, “Can you get me one of those VAs?” than it was for business coaching. And I just thought, I wonder, “is there a business in this?” And boom, four years later here we are, The Virtual Hub with more than a hundred staff in the Philippines. So that’s how it happened really, was kind of accidental. Derek: Yeah, incredible. And, you know, it is amazing people talk of the size of businesses over here and it makes people in the West just, you know, I think it’s incredible to think that you have a hundred employee but it’s kind of more normalize and of course, I suppose your quality what you are training in is human resources. But really it is incredible the kind of scale of companies and corporations over here. Barbara: Oh, I mean we are small. I mean, I am thinking a hundred people. I mean, there is people with 5,000 people over there in the Philippines that are, I mean, they are literally changing the landscape of the country in terms of the society and the impact that you can have. It’s not all of them were impacting the good way, but, you know, you would sort of think that it does change the fabric of the society, the work we do. Derek: … a massive kind of people industry, isn’t it? Barbara: Yeah, so we’ve a long way to go from a hundred. Barbara: But we’ve come a long way. Barbara: We find [crosstalk 00:05:19] of what we do, yeah. Derek: It’s a kind of, you know, I found more reassuring I think to have a corporate background such as yourselves and consulting because that’s where, you know, I think outsourcing, it fundamentally is quite technical. Barbara: It is not as easy as people think. Barbara: It is not as easy as people think, yeah. Everyone thinks, “Oh, you just go and recruit people and fire on the multitude lines[? ]” and I go like, “No. It doesn’t work like that.” It’s very strategic. You need to have a strategic mind for it. Derek: I just want to get more background really into outsourcing. When you turned to outsourcing, I started outsourcing in about 2011, and I called it my biggest “Aha!” moment really in business. Derek: Because I just realize the incredible opportunity and power that outsourcing has for businesses, if it is properly harness. Derek: But what it is about your initial impression on outsourcing? And what were you thinking about outsourcing before you even started? Were you apprehensive? Were you sort of, kind of hesitant because of the type casting it had previously? So, when I saw the power of that, I remember sitting at my desk one day going, ‘is nobody doing this? Or like what? Like is nobody providing the service?’ And of course, lots of people are. But I think there is a lot of people providing the service in a bad way like there is a lot of people doing it well but my focus was more on the client at that stage and helping them. You know, recruiting is one thing but you got to help to try and get success on the client side, and then on the side of the VA. So that’s been my evolution with this, is to not just recruit people. I actually kind of force success rates that are very high on both the client and the VA in terms of the career development, wanting to be part of the culture, all that sort of stuff. So that’s where I think I’ve been successful to be honest because I focused on the client success and the VA success as opposed to the numbers. Derek: Yeah, and it sounds like a real partnership, isn’t it? Derek: You know, this is what I’ve told people. I want people to try outsourcing. I want them to try it today, just deep their toe, but also, you know, it’s not that hard to get into it. But it is really almost like a marriage, it’s a long-term partnership and something that you need to invest time into it upfront. Barbara: Yeah, you know, you’d love this actually. I was listening to one of Gary V. One of his kind of Facebook most recently. And he said, he was talking about freelancers and sort of trying to dip your toe and using contract to see you there and everywhere. And he said, in his view the reason the people fail so much with that is because they are hooking up on dating, when actually what they are looking for is a strong marriage, which is kind of how I feel as well. So people sort of want to try before they buy the sort of thing but then no one is committing to anyone so the energy is all wrong from day one. So that can be a big problem. Derek: Yeah, and I’ve heard as well, because we are actually writing a series of articles at the moment, trying to educate people about the difference between the Upwork and Freelancer of the world versus proper, professionalize outsourcing services. Derek: And I think that Tim Ferriss has done an incredible thing within the industry but also people kind of want an incredible VA, five hours a week paying one dollar an hour that can risk the whole website. Barbara: I know. I know. And they want them to be completely loyal to you? Derek: You know, you don’t know the best time with them, and then it’s not really there, isn’t it? I think it needs to be sort of slightly swung back the other way where people, again, like that Gary V says, “it’s more of a marriage” that’s sort of a mutual commitment and long-term view. Barbara: Yeah, you know, I also try to train with the clients. It obviously depends of what stage in business that you are at. But some people would say, “Well, in the early stage you will only need a VA for a couple of hours a week.” I would argue differently because from day one of me starting a business I hired one a fulltime. I was like, “I will have her fulltime, thank you.” And I think that’s people, they are not looking at it as a long-term strategic decision in the growth of the business. They are looking at it as, “I need an extra set of hands to help me to clean up things.” That’s the major problem, people looking at that way from a business perspective. Derek: And also, I think, you know, there is bit of this kind of Gary V sort of a hassle out there where people kind of want to get as much as they can for free or not necessarily get to pay as they should do. So, they are kind of looking for 10 articles to be written on a trial basis before they’re paying one and it’s just not, I think it’s easy for people to forget that there’s real people over here, these are people with aspirations like themselves, people that want their career ladder, and people that are very loyal if given the opportunity. Barbara: And, you know, again it’s just that differentiate it between kind of part-time freelance of thing versus professionalized outsourcing services. Barbara: Yeah, which is a partnership really and you want to see, like we want to see our clients grow. I got you. I’m like, if we get that client that has one VA and we see that grow, that client grow to four VAs so that’s I mean, that’s a huge win for us and for the client and for the teams in the Philippines. Barbara: It’s a win, win, win really. Derek: It is a solved puzzle[? ], isn’t it? Because you are seeing good growth, you are seeing good results for everyone in the mix. And so you had an early win. You’ve got a fantastic VA. And I think you realize as well like with any of your clients coming on board, they might be a bit of skepticism. They may be little bit unsure, uneasy and the gain, the quick win for people is so critical, isn’t it? Because they then kind of relax a bit and they believe in the process a bit. And also having a very successful pioneer, which is like the first person on the team and you still have your first VA, as an example. Do you have any examples of easy wins that people sort of hesitant or unsure? Derek: Like how do you get people in and get them easy wins? Barbara: Look, I’ll be honest. It all comes down to having good people. Now, the term, when you are recruiting, and this is where a lot of people don’t get, even when they come to us, we have to like painstakingly spell these out several times over, so people understand. The difference between a pure recruiter and a professional managed outsourcing service provider is enormous. So, our pure recruiter is going to just have resume bank, and they’re going to have look at resumes, and they’re going to do a couple of interviews maybe a test too, and then, they are going to show you a lineup of people. Doing that, you have no idea about the true character, or the work ethic, or the enthusiasm of that person. Barbara: And that is kind of where we get the initial quick wins. We actually try to over, we try to over deliver. Now, it doesn’t happen 100% of the time but it happens a lot. Derek: So. you have your VAs sort of sitting on the bench already pre-trained and then you match clients with those people. Barbara: Yes, yes. And that’s why we’re very specific about what we do. So, we specialized, we’ve gone quite niche in that we typically specialized in digital marketing implementation type general virtual assistants. So, what I mean by that is don’t come to us looking for a writer even though that is part of digital marketing. Our guys are more on the ground work around, link building, social media, content calendars, posting your social media, putting blog post up, building your campaigns and fixing your rules and infusions of all that kind of stuff. That’s kind of where we play. And because of that we can control the training much more effectively and that’s kind of where we get a lot of quick wins for people. We can sort of get someone in there that can, I won’t say hit the ground running because of that’s never true but can get up for you speak very quickly with the client. Derek: … of the relationship, isn’t there? Barbara: We have a big onboarding process. We teach clients how to get ready before the VA arrives. We’ve got a very deep kind of the first six weeks of the client working with us is quite a lot of engagement. And then after that it obviously, like we do calls and we are there. We’ve got ongoing help desks, and team leaders, and success coaches, and everything internally. So we’re always looking at what tasks are being asked. We get client feedback all the time. We invited them every week in the first eight weeks. And then monthly, they’re after because we’re like, if you don’t give us feedback, even if it’s bad we can usually fix it we find it early enough. So, it’s a very engaged in relationship. Derek: Yeah, and it’s pretty technical staff, isn’t it? Derek: Because our system is back 30 years ago. They would have just been kind of photocopying and manning reception desk back in the old days. And now, your all people are not really assistants but they’re actually kind of what digital marketing administrators or in both in this kind of staff. Barbara: That’s exactly right. You know one of the things I would say to people is the major issue right there is the word virtual assistant because it literally means someone with a heartbeat who can type right through, towards someone who can do coding the website. I mean or do your accounting. I mean that’s kind of the term itself is too broad. So we have to kind of narrow people in and go virtual assistant is somebody who is virtual, who is there to assist you. But it can be in a broad range of areas. So, you’re going to be clear on that first and they won’t do it all. They won’t do it all. Barbara: Yeah, we do that. We do that. Typically, we don’t attract that kind of a client anymore because we are mainly, you know, I’m not speaking on podcast and conferences and stuff that are mainly digital marketing focused so we tend to attract the, we do have a level one VA though, that’s more admin focused, and they tend to be what we’re looking for in those VAs. Is somebody that is organized and kind of on to it, like the office manager type of person. They may not be great in social media images. They may not be great to text, like more in WordPress and all that but there are master organizers. We do have that as well. But typically, we play more in the upper level VAs that are doing more technical stuff. Derek: Fantastic. Thanks so much Barbara. So, I wonder I should get you back so that we can deep dive into exactly The Virtual Hub. And how it functions on the different areas of VAs and services that you offer. But in the meantime, if people want to keep in touch with you or learn more about you or The Virtual Hub, how can they do that? Barbara: Sure. 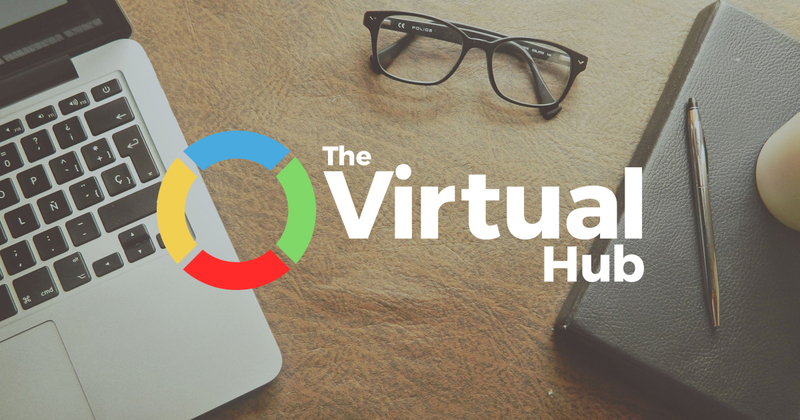 So, if you want to learn more about The Virtual Hub, we actually got a couple of great sort of resources for the listeners, for you guys, you can go to thevirtualhub.com/outsourceaccelerator. And on there we got a couple of guides, we’ve got a download of, “why people fail with VAs and how to fix it”, which is very useful. We also have a seven part scalable business success formula e-course, which you can dive into, which will really help you to get ready for outsourcing. And then you can also book a call with one of our strategy consultants on that page, too. If you wanted to connect with me personally, LinkedIn is kind of where you find me. So, over there I sort of share some of my content, my own thoughts, over my LinkedIn profile. You can just find me at Barbara Turley. Derek: Fantastic! Thank you so much. Derek: Okay, that was Barbara Turley of The Virtual Hub. If you want to get in touch with Barbara or learn any more about anything we’ve mentioned in this podcast, go to outsourceaccelerator.com/203. And of course, if you want to email us, if you want to ask us anything, then just drop us an email to ask@outsourceaccelerator.com. See you next time!